As an author I want to entertain you with vices aplenty, and a few virtues in the fray! All these salacious facets of human life are part of our everyday, for better or for worse, and they should be put on the record. As a writer I want to give you stories you will love reading. Crime writing and the detective genre are well-established forms. What I want to bring to the genre is the distillation of all my life experiences in the form of entertaining fiction. As a former police officer, former detective, and former corruption investigator, observing the most colourful manifestations of human vice and desire has given me a unique and rich source of inspiration. We humans have always loved a good story, so join me and read on. The A.B.Patterson newsletter - I reach out and you get the news and everything else! Sign up here to join the club. It'll be a monthly epistle to begin with (Starting in April 2019). 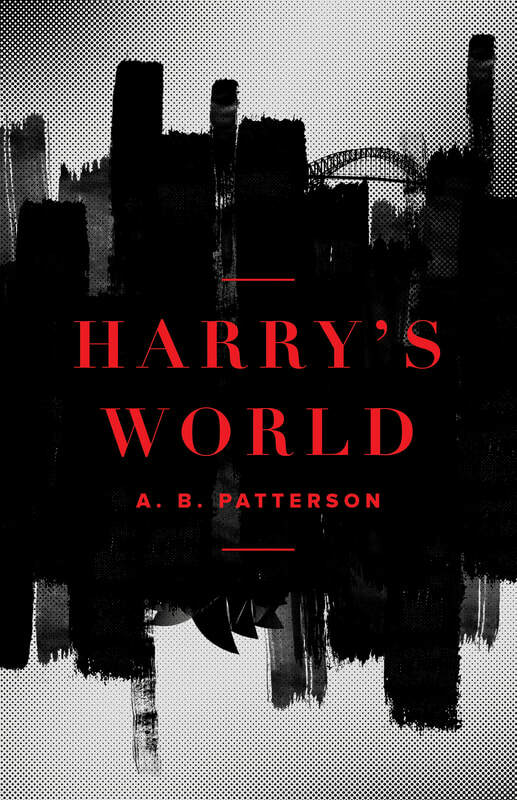 The stunning sequel to Harry's World has arrived! The ebook versions and the Print-on-Demand versions are also available. See links below. Like to grab yourself a copy? All the purchase links are on the WORKS page. See the latest BOOK REVIEWS! 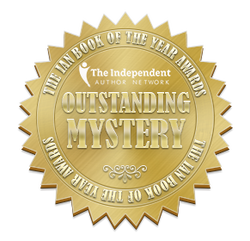 The multiple award-winning debut novel by A.B.Patterson. Available in paperback, ebook and POD (print-on-demand). "She had legs all the way up to heaven, but Harry's gut instinct told him she'd take him all the way to hell." Looking for a speaker at an event? If you want a speaker with a difference at an event you've got scheduled, then why not think about a crime fiction author? People love to hear about crime and corruption, and I am in a position to tell them all about it. I love doing author talks, so feel free to contact me if you're looking for a splash of something different at your next event. Another library talk for 2019 has now been confirmed. I'll be at Cessnock Library up in the Hunter Valley on the morning of Thursday 13 June 2019, starting at 10.30 a.m. I'm taking PI Harry Kenmare to the mean streets of the City of Angels. Yes, in June/July I'll be doing an author trip to L.A.
First event lined up already is Switchblade's author evening at Skylight Books. ​Be there for 28 June 2019. Have a look at the line up - I am well and truly honoured to be joining this noir gang. Can't wait. My first library talk for 2019 has been confirmed today. 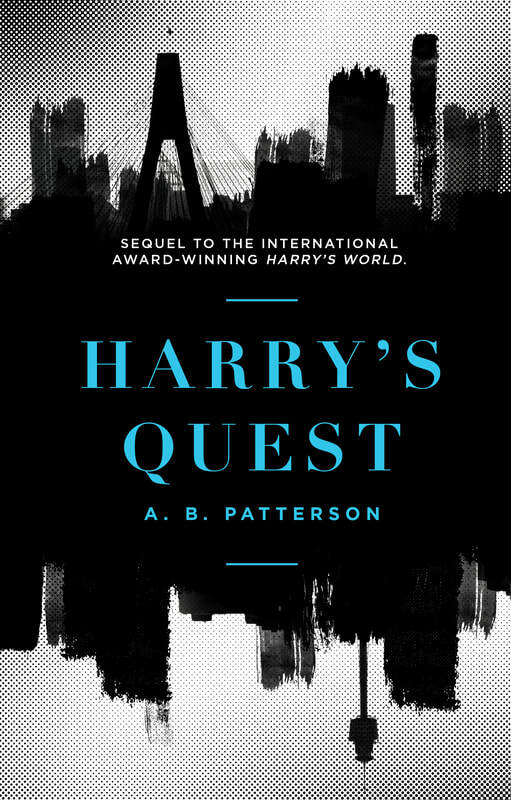 I'll be at Waverley Library (Bondi Junction) on the evening of Wednesday 22 May 2019, starting at 7.00 p.m.
Coinciding with the official launch of Harry's Quest, Switchblade Issue 8 is released on Amazon, and PI Harry Kenmare is back - another new short story, "Wankers", and in the first person again. Copyright notice: The cover image at left is the copyright of Switchblade magazine. The ebook version went live this morning, 05 December 2018. Print-on-demand is now available online. The paperback versions will be available next week. Book launch in Sydney in January as well. See BLOG for further details. Thrilled to be delivering another crime writing workshop for the wonderful Westwords program. Monday 17 September 2018 will see me chatting with about 90 year 11 students at Arthur Phillip High School in Parramatta. Always great to be encouraging young people to take up the pen and get creative. A custom-made colourful collection of high-quality card bookmarks quoting some of those delicious hard-boiled one-liners from Harry's World. What better to accompany you in all your reading travels?! Just $4 a set of 12 including postage ($6 for overseas). There’s something special about a truly good book. One that immerses your imagination, one that you can’t put down and one that when you do emerge you can’t believe where the day has gone. We spoke with authors and found our own recommendations for the 20 books you should take a look at this April. See my recommendation in the list - the incomparable James Crumley at his best! A fantastic weekend treat - Switchblade Issue 4 is released on Amazon, and PI Harry Kenmare is back - a new short story and in the first person again. I am pumped this morning here in Sydney! The day has started with Switchblade magazine in the US publishing its first ever Special Edition, and it contains my first ever short story. This is more of my PI Harry Kenmare, but written in the first person, so a different approach. I'm thrilled to have been selected for publication in the next issue of Switchblade magazine out of the US. 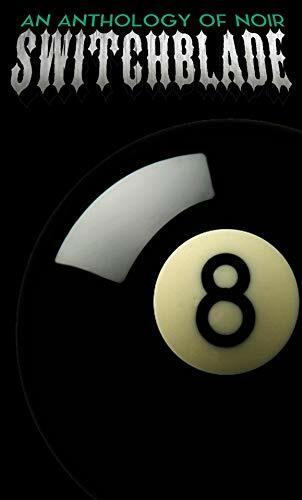 It's a great magazine/anthology for all lovers of hard-boiled and noir. So my PI Harry Kenmare is about to appear in his first short story, and this one is written in the first person, another new adventure for Harry. Pick up your copy of Switchblade on Amazon later this month or early October. And there will be heaps of other great crime writing for you to enjoy. Copyright notice: The draft cover image at left is the copyright of Switchblade magazine. So far for 2017, I've had great talks with packed houses at Cessnock, Kiama and Bowral. And back in Sydney I've now done Rockdale, Mosman, Waverley and Narellan. 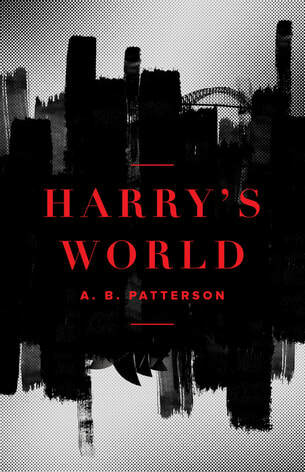 Very exciting - the second printing of Harry's World! Yes, almost all of the first printing run of the original paperback edition have gone, so the second batch have been ordered and have now arrived. So if you're keen on having a first printing copy, you had best get in quick. Hey, you never know, they might be worth something one day!!! There is nothing wrong with optimism! ​"... for those looking for something ballsy and literate, in the Chandler/Bruen vein, this one might do the trick." ...The episodes are all thoroughly engrossing and easily flow from violent, to seedy, to pulling at the heart-strings and back again. It's been a good while since I enjoyed anything quite so much as my visit to Harry's World. 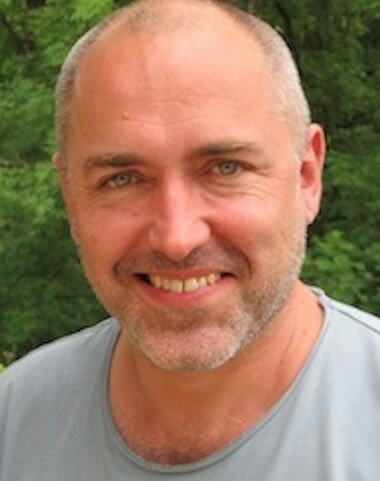 All photographs, images and text on this website, unless otherwise expressly stated (see below), are the copyright of A. B. Patterson. The main exceptions to this copyright statement are the quotes from other authors cited on the "Quotes" page, which remain the copyright of the cited authors (or the copyright owners), as well as the photographs of famous authors which are, to the best of my knowledge, in the public domain, with appropriate attribution as required. There are also numerous stock photos throughout the website - these have been purchased from iStock and Alamy, or they are free images from Pexels with attribution where requested. The blog pages may contain images which are freely available online. Book cover images may be my own photographs or may be drawn from websites - they are used to highlight and support the work of their authors and/or editors. Logos of other organisations are their copyright and are only used in the spirit of promoting those organisations or websites. "She gave me a lazy, lopsided smile, unabashedly slid her hand into my crotch, and looked me in the eye. 'So what would handsome like today?'."